Young people will know compassion, thus enabling them to enjoy the state of science so that language, art, civics and all that is civilisation can exist. Requisites for the state of science to exist. Languages are sets of coincidences of meaning or symbols that enable sentient beings to communicate and share meaning. Though the symbol may directly involve as few as one sense, its use is governed by all the senses. This is because the choice of use of symbol and the response to the symbol are both determined by the totality of the experience of those sharing meaning through a symbol use. The sets of symbols contain grammar, or systems of rules, that are used to manipulate the symbols and these are what give them their communicative power. Different communities of users may employ the same sound, object, visual display, motion, smell etc to convey very different meanings within their community. With humans, for instance, in Spanish communities the “nada” sound means “nothing’ while in Serbian/Croatian/Bosnian communities it means “hope”. In order to comprehend a community it is necessary to understand both the unique meaning its ascribes to a symbol and the grammar it adopts. If the Principle of the Conservation of Energy holds true then all communities live in a flux of change. Their language enables each community to reflect and communicate that reality so the community can live in greater harmony with the balances and flows of energy transformations. This means any sustainable language is subject to constant change and is a “living” system. The survival of the community is reliant on its capacity to conserve the fullest possible potential of its symbols to reflect this reality. Failure to conserve this potential results in a loss of viability and general harmony. Students will appreciate the power of symbols and grammar with particular focus on English and Maori so they can explore and become stewards of New Zealand’s unique culture. They will also value other languages, including Mathematics, so they can better link to global communities, comprehend the “biological” languages of sentient beings on our planet and enjoy greater connection and harmony with our planet's systems and the greater universe. Mathematics and Statistics -including exploring and making use of patterns and relationships in quantities, space and time so symbol use better reflects universal processes and generates greater meaning. including understanding, using and creating oral, written, and visual texts of increasing complexity in English so New Zealand culture is sustained. including the comprehension of a range of grammar protocols and the use of strategies to learn human languages so the reflection and insights of other human communities can be shared. Including identifying and comprehending the languages of the communities of sentient beings inhabiting our planet so greater meaning is found in Earth’s biological systems. Thermal Beings - including communication of insights into the balances of the thermal flows of our universe and the care of them. Electrical Beings - including reflecting the potential in all electrical phenomena and sustainable uses of them. Trace Beings- including expressing the trace elements that comprise the universe(s) and reflecting on their powers. Human Beings- including our mythology psychology, sociology and the civics that sustains us. Earth Beings -including reflecting the tectonic forces of our planet in language and our roles as stewards of its minerals and soils. Ocean Beings- including reflecting key water cycles and our roles as stewards of water. Atmospheric Beings- including expressing the power of our breath and our role in all atmospheric processes. Carbon Beings- including reflecting key carbon cycles and our roles as stewards of carbon. Solar Beings - including reflecting the processes of our solar system and sharing sustainable uses of our solar potential. Universal Beings - including expressing how we are part of the universe and describing all the different types of being each individual can be viewed as. Energy is the potential of the universe(s). Humans are mortal forms and cannot know the full potential. However indications are we are intimately involved with how that potential is manifest (The Uncertainty Principle of Energy). Also this far no human in recorded history has ever in any practical way found flaws in the Conservation Principal of Energy which states that energy is so bounteous it can be considered a constant and that it is subject to constant transformations. Energy is manifest in every aspect of existence and no aspect or form of existence can be called energy. 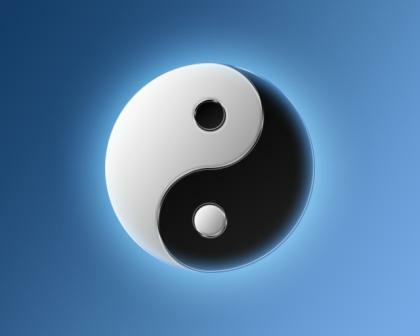 They may be categorized as forms or sources or manifestations or types of energy with each having its own symbol. Psychology studies the minds (including mental and emotional processes) of humans and other sentient creatures and how we reflect and respond to our changing universe. Sociology studies human and other societies for their social relations, belief systems, organisation and capacity to adapt to change. Physics explores for principles governing matter and energy and their interactions so we are able to understand and use the forces affecting our universe. Chemistry studies the composition and properties of substances, and the reactions by which substances are produced from or converted into other substances. Biology explores the origin, history, physical characteristics, life processes, habits, etc. of living organisms such as plants animals, and viruses. Thermal Beings - includes understanding and being in harmony with the balances of the thermal flows of our universe Electrical Beings - includes identifying all electrical phenomena and sustainable uses of them Trace Beings- includes understanding how the universe comprises of trace elements and exploring their powers. Ocean Beings- includes understanding key water cycles and how we are sustained by them. Atmospheric Beings- includes knowing the power of our breath and our role in all atmospheric processes Carbon Beings- includes knowing key carbon cycles and being stewards of carbon Solar Beings - includes exploring our solar system and making maximal use of our solar potential. Universal Beings - includes knowing we are part of the universe and each of us can be viewed as many types of being. Art - or The Arts - are skills and crafts that involve creating products or symbols that use any of the human senses to express and communicate meaning. The symbols may involve any one of or combinations of our visual, smell, taste, aural and tactile modes. The symbols created evoke images in the recipient involving all their senses. The essence of the Arts is a love of the truth and a desire to reflect reality -reality being the changing nature of the universe. Without the requisites for science to exist there is no art. The requisites enable to practitioner to reflect a greater truth of the reality in their product and thus generate greater meaning. Implicit in this understanding of art is the acknowledgement that every student provides a unique point of view of existence and Arts education explores, challenges, affirms and celebrates unique artistic expressions of self, community and culture. Students employ science in the Arts to develop their skill at working both independently and collaboratively so they can better reflect our changing reality and construct meanings, employ symbols and produce works, and respond to and value others' contributions. They learn to use imagination to engage unexpected outcomes and to explore multiple solutions. Students will enjoy science and explore the nature of energy using all their senses so they can appreciate its potential more fully. They will have the confidence in their senses plus the skills and crafts required to more accurately reflect reality and to express greater meaning in their use of symbols. The Art of Well-Being- includes promoting the science of the health of the body and mind of the individual, the well-being of society and harmony with universal flows and balances. The Art of the Visual – including reflection and expression using a wide range of materials and techniques to explore the qualities and possibilities of light, line and perspectives to convey meaning. The Art of Sound - including exploration and expression through music, the spoken word and the other organisation of sounds that reflect and convey meaning. The Art of Movement –including exploration and expression through dance, technology design and kinetic sculptures. The Art of Drama – including expression through a focus on role, action, and tension, played out in time and space using dramatic convections, techniques and technologies. Thermal Beings - includes exploring how in harmony we are with the balances of the thermal flows of our universe Electrical Beings - includes embracing all electrical phenomena and reflecting on our uses of them Trace Beings- includes exploring how the universe comprises of trace elements and reflecting on their powers. Carbon Beings- includes exploring key carbon cycles and our toels as stewards of carbon Solar Beings - includes exploring our solar system and how we make use of our solar potential. Universal Beings - includes expressing how we are part of the universe and all the different types of being each individual can be viewed as. The Compassionate Curriculum Framework was generated as an alternative to the New Zealand National Education Curriculum Framework. This teaches that science is a way of thinking, as in the Des Carte’s notion “I think, therefore I am”. Science is framed as a study parallel to the arts, language, social sciences, physical education etc and a small proportion of the population (less than 1%) are described as “scientists”. The Compassionate Curriculum teaches that science is a state of being, as in the notion “I act, therefore I am”. Science is framed as a state of being that all human beings are born into that ceases to exist when any of the major qualities of compassion are lacking. All human beings experience the state of science to some degree and no person is described as a “scientist”. Thus science is framed as enabling the arts, languages, civics and all that we know as civilisation to exist. Implicit in the Compassionate Curriculum Framework is the notion that education success is evaluated by measuring what students do rather than what they say – which is the converse principle to the education rationale that dominant Anglo-American education. New Zealanders, for instance, destroy resources at a rate per capita that is at least five times greater than what the planet can sustain. Thus the National Education Curriculum Framework is evaluated as profoundly flawed and non-sustainable.